Evening everybody! 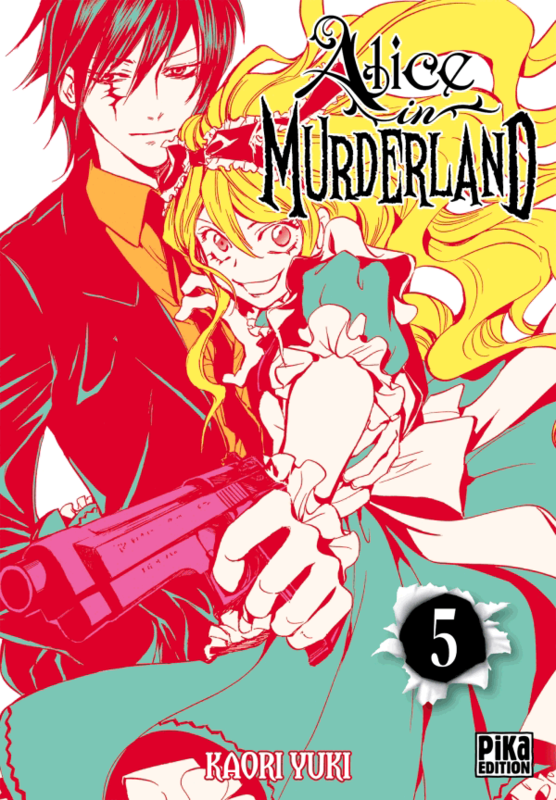 Volume 5 of Alice in Murderland has been released last week in French, this is a interesting part of the story where we learn more about big bro Zeno and big sis Ibara. Alice is totally unleashed once again, for our great pleasure. 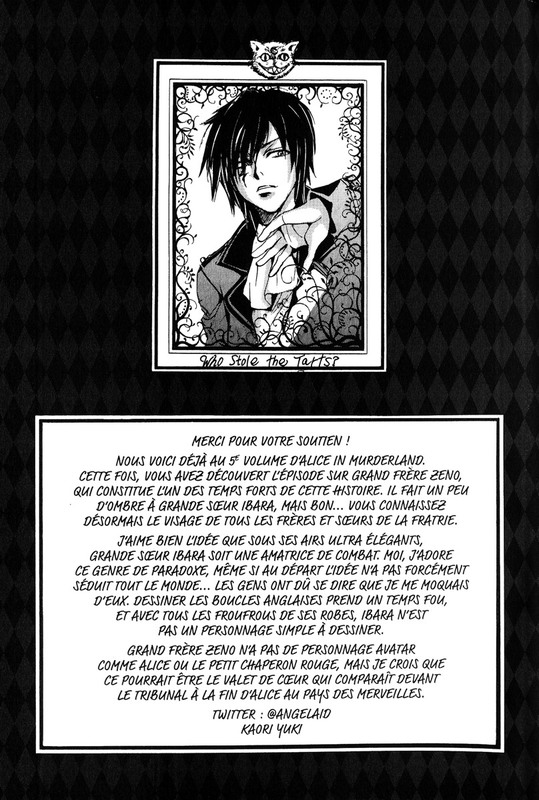 :3 I added the French atogaki of the book, available on the atogakis page as always. 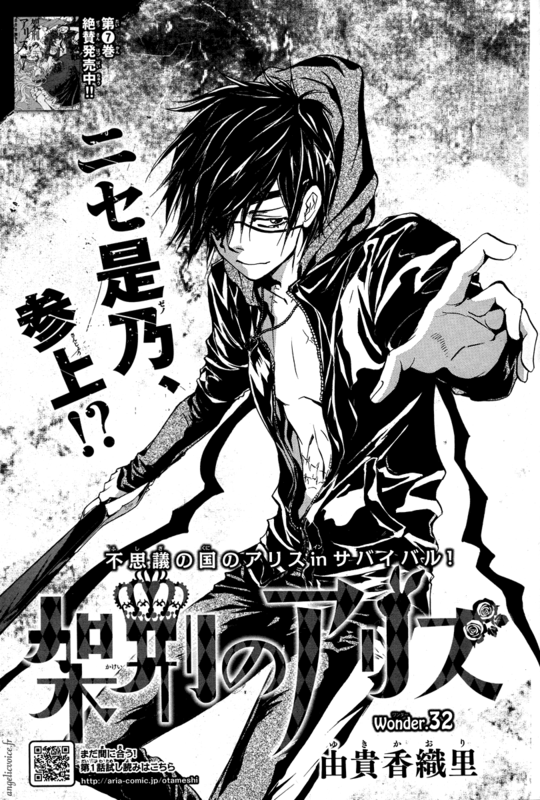 And at last can you discover the title pages of the latest 2 chapters (31 & 32). 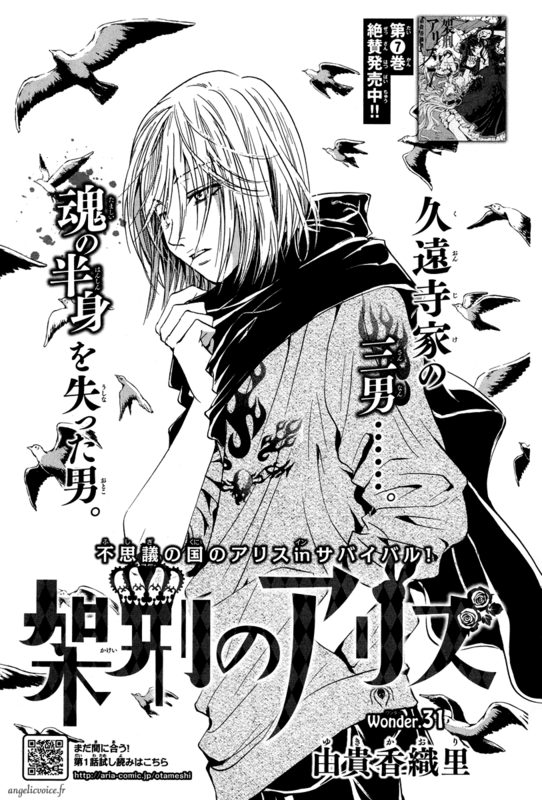 Chapter 33 will appear in the next issue of Aria, #8, to be released on June 28.